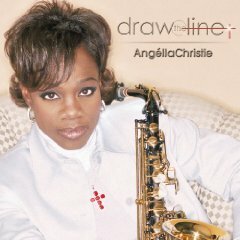 Angella Christie has devoted her life to spreading the Christian gospel through her skill as a saxophonist. "The Bible instructs us to play skillfully and with a loud noise," she told Frank Roberts of the Virginia-Pilot. She received the Instrumental Gospel of the Year award from the National Black Programmers Coalition, and has appeared on the Christian Broadcasting Network's (CBN) 700 Club and Black Entertainment Television's (BET) Jazz Scene. "After a casual listen to Angella Christie's music," noted Jeff Clark in Billboard, "you might assume that this Atlanta-based alto saxophone instrumentalist was a promising new name in the 'light jazz' music world." Christie was born in Los Angeles, California, to missionary parents. She traveled frequently, and lived in Jamaica for two years when she was seven and eight. She attended Pentecostal churches, a charismatic denomination that nonetheless made no objection to a wide variety of instruments, including drums, guitar, and saxophones. Christie's mother bought her first saxophone for $300 at a pawnshop in Houston . "Secular music wasn't allowed in our house," Christie recalled to Clark . "I was not exposed to the Charlie Parkers, I didn't even know who they were. I got all my improvisation from church." When she was 12, Christie lived in the Rebecca Home for Girls for one year. "It probably shaped me more in hindsight," Christie told Contemporary Black Biography (CBB), "than it did at the time." Each student worked at his or her own academic pace, and was required to study the Bible and memorize verses. The home had a guitar and piano, but no television, magazines, or anything that would connect the students to the secular world. By the time she had left the home, she had been given a sturdy foundation in Biblical scripture. At age 17 Christie experienced a life-changing event that would effect her decision to enter the ministry after college. Although she attended church and was familiar with charismatic occurrences, she had never personally experienced this kind of revelation. While visiting the prayer room at the Church of God in Christ one day and earnestly seeking to place her relationship with God on a higher plain, she suddenly felt propelled to another spiritual realm in which she spoke in tongues. "When I came to my natural self," she told CBB, "I was not the same person.... That was the ultimate changing point." 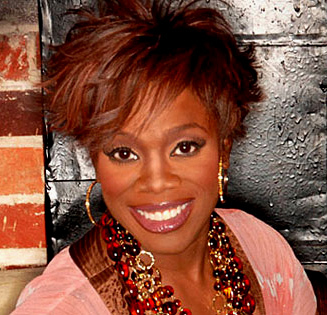 In 1985 after finishing college, she started the Angella Christie Sound Ministries in Atlanta, Georgia . With her brother working as her sound engineer, she traveled from church to church playing her gospel saxophone. While many have considered her an innovator in instrumental Christian music, Christie maintains that she is working within an older tradition. Improvisation, she noted, reaches back before the blues and before jazz. "My instrument," she told CBB, "is used for the purpose of evoking praise and worship ..." Christie also recorded a series of independent releases, including Because He Lives, Rejoice, It Is Well, and Walk With Me. Christie signed with Atlanta International Records (AIR Gospel) in 1996 and released Eternity the same year. The album sold nearly 30,000 copies. Christie followed up Eternity with Hymn & I in 1998, a collection of hymns that reached number 26 on Billboard's gospel chart. "Her versatility is evident in her musical techniques," noted C.J. Hytche in the Houston Chronicle, "moving smoothly from sacred sounds to contemporary." Draw the Line (2003) and The Breath of Life (2008) followed. Her awards include: Award of Excellence, Instrumental, Gospel Music Workshop of America, 1999; Instrumental Gospel of the Year, National Black Programmers Coalition, 1999.